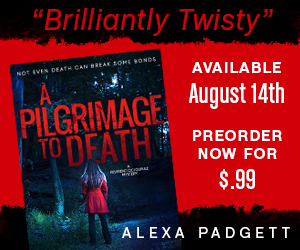 Today I have the teaser blitz for Alexa Padgett’s A PILGRIMAGE TO DEATH! We’re super excited to share this upcoming thriller with you! Check it out and be sure to preorder today!